Newly promoted Southampton brought optimistic Leeds United fans (like me) crashing back down to earth in a league opener Whites fans will quickly want to forget. Things didn’t start too badly at St Mary’s with Michael Brown throwing his weight around in midfield and a snap-shot from Jonny Howson providing Leeds United fans with room for optimism after the opening exchanges. But things soon went awry as Dean Hammond ran into acres of space before releasing a beautifully struck shot to the bottom left-hand corner. Lonergan dived the right way and wasn’t too far away from the save, but his view was undoubtedly blocked by Leeds’ back-line who made no attempt to close down the oncoming forward. By holding back, Leeds’ defence not only allowed Hammond plenty of time to carefully pick his shot, but they also provided him perfect cover from the pesky keeper who may otherwise have got in his way. 1-0, and things only got worse. The Whites quickly decided the best way to level things was by hoofing the ball long to Ross McCormack who, being one of the smallest men on the pitch, somehow couldn’t win the aerial battles against 6ft tall defenders (strange that…) – you’d think this is something we’d realise quickly, but no, not Leeds United. After all, they’ve been doing the same thing to Max Gradel for two consecutive seasons and still exchange confused looks when he can’t pluck the ball from 10ft above his head. .
Rather unsurprisingly, this proved ineffective and Southampton grew in stature and confidence as Leeds crumbled and forgot how to work as a team. It didn’t take long for the Saints to double their advantage as Adam Lallana managed to twist his way into an acute shooting angle to fire beyond Andy Lonergan – not the debut our new keeper was hoping for. 2-0 and you already sensed the game was over. Half time came and went and Leeds United didn’t show any signs of improvement. 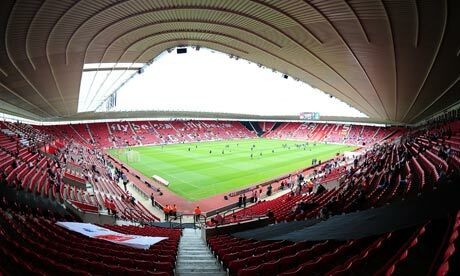 Southampton meanwhile seemed to be going from strength to strength and within just 7 minutes of the second-half kicking off, they put the game totally out of reach with a beautifully worked passing move finished in some style by David Connolly. 3-0, game over. At this point, the fans of some clubs would head for the exit and begin the 4-5 hour journey back north. But the Leeds United faithful are far too stubborn for that! Even if we weren’t going to win the match – and trust me, there was never any danger of that happening – we were still going to make ourselves heard and out-sing the Southampton fans. The one constant this club can rely on is the – often undeserved – die-hard supporters. With nothing left to lose Grayson looked to the bench for a masterstroke that would get us back in the game, and to the complete bemusement of most fans decided Billy Paynter was the man for the job. “He’s been right before in this situation” we reasoned and decided he probably knew best. He didn’t. But in fairness to Grayson, Paynter did have the best chance of the game when he was released one-on-one with the oncoming Saints keeper, only to be denied by what was admittedly a pretty good save. Still, you’d have fancied McCormack or any one of our midfielders to have buried it quite easily. Ramon Nunez and Lloyd Sam followed and both looked a hell of a lot better than half the players we’d started the match with. You can’t help but think Ramon Nunez would be better alongside Ross McCormack than Jonny Howson is, and that Lloyd Sam looks in much better shape than Robert Snodgrass who I genuinely forgot was on the pitch. Southampton continued to carve out the better chances with some excellent passing movements throughout the team and went close to adding a fourth when Richard Chaplow struck from range only to be denied by the post. But it was Leeds who would have the final say when one of the Saints’ defenders was judged to have handled the ball in the area by the linesman to concede a penalty. Max Gradel, whose enthusiasm was one of the few positives you could take from this game, sent the keeper the wrong way to add a consolation goal for Leeds right at the death and keep us from the bottom of the table by virtue of goals scored. 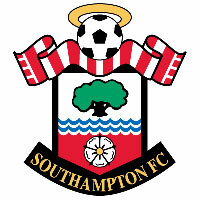 Southampton are an excellent footballing side, in a similar mould to that of Norwich City. Comfortable on the ball, extremely well-organised at the back and able to forge concise, quick counter-attacks. Some of their passing moves throughout this game was more like watching Arsenal than a newly promoted side from League One. However good Southampton may be, that does not excuse the result, nor does it detract from the truly woeful display Leeds United put on. Where the Saints had cohesion and composure, Leeds had panic and hoof-balls. You’d be at serious pains to choose a man of the match for Southampton because there were no individual performances – they won as a team. At no point during the course of the fixture did Leeds exhibit a similar togetherness and understanding. When Southampton were in possession it was difficult to turn them over because every player was on the move creating options for the man on the ball. When Leeds were in possession our options were largely non-existent. No one was creating the same space for themselves and giving the man on the ball the same kind of options Saints had. It was so obvious for Southampton to read and nullify Leeds’ options that they could commit several players to Max Gradel every time he had the ball, knowing he had no one to release the ball to. When Leeds are at their best, our passing stretches the opposition creating the gaps we exploit and score goals from. We have so many attacking options when on the break that it’s impossible for the opposition defence to mark them all. Not once did we see that at St. Mary’s. Moaning about referees is one of my pet-hates, but sometimes it’s hard to ignore how bad they are and this one undoubtedly affected the game. At some point over the summer it must have been decided that football is no longer a contact sport and that whenever two players brush against each other, a foul must be given against the team on the break. For those that missed the game I really cannot put into words how bad this referee was. Inside St. Mary’s it was difficult to tell what he’d blown for and who he was giving the free-kick to 90% of the time. I assumed that watching it back on Sky Sports would give me some clarity, but even that didn’t help! I expected Michael Brown and Patrick Kisnorbo’s tough tackling to be the difference this season, but if that was the standard of refereeing we can look forward to, we better start training with 10 men. Very few positives, but Adam Clayton impressed me as did Ramon Nunez and Lloyd Sam. Ross McCormack also deserves a mention. He’s clearly an extremely talented striker slotted into a team built around and only suited to Luciano Becchio – that’s something we have to address quickly, because this kind of football does not work without him. As mentioned earlier, the fans were outstanding too. If the team performed half as well as the travelling support did, we’d have won 5-0. Overall, I fear the more pessimistic fans may have been right all along. Maybe we did overreach last season. It’s only one game, and you have to remember that both ourselves and Norwich lost the opener last season but the one recurring thought as I watched the Whites crumble and heard the Leeds fans moan about Bates’ lack of investment was the £7m East Stand development being added to a ground we allegedly don’t own! “What the f**k is going on?” the Whites faithful asked. What the f**k indeed. TSS on talkSPORT: Following the match yesterday I was contacted by Sam Matterface from talkSPORT to see if I’d be available to feature on a look back show. I’m due to go on air at some point between 4-6pm tonight (August 7th). I’ll add further details on Twitter and The Scratching Shed forums as I find out more. I suspect it’ll end up like a footballer’s post-match interview, heavy in the “erm…” and “at the end of the day…” department.